Have you been thinking about working in South Africa? If you have, the first step is understanding the various work visas you could apply for. The next step is to see whether you qualify for the South African work visa you want. This is done quickly and easily by completing our free online assessment. If you’d like to speak to someone instead, call our Cape Town office on +27 (0) 21 424 2460 or our Johannesburg office on +27 (0)11 234 4275. Get the process started right away by working through the basic information on South African work visas. What are the different types of work visas? Critical skills work visa: This visa is based on a list of occupations that are needed in South Africa. In order to be eligible for a critical skills visa, an applicant’s occupation must appear on the list and the criteria for the critical skills visa must be met. Intra-company transfer work visa: This visa allows companies outside of South Africa to transfer workers to a sister branch, subsidiary or affiliate in South Africa. Individual corporate workers visa: This visa is only available to foreign immigrants when an employer has a valid corporate work visa. Quota work visa: This visa is no longer in use. Foreign immigrants who hold this visa are advised to explore their alternative options in order to continue working in South Africa. Exceptional skills work visa: As the quota work visa, the exceptional skills work visa is no longer in use. It is recommended to explore alternative options if there is a need to continue working in South Africa. 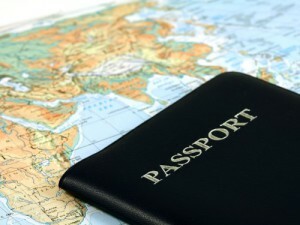 A work visa is commonly issued for between 2 and 5 years. Foreign immigrants who obtain temporary residency and hold an appropriate work visa for 5 continuous years are eligible to apply for permanent residency. What are the requirements for a South African work visa? Each work visa has its own unique requirements. To learn more about the one you’re interested in, please speak to one of our consultants. Immigrants must meet all criteria and submit all necessary documentation for the specific visa, as determined by the South African Department of Home Affairs. You could submit the application yourself, but why don’t you save yourself time and effort by letting Intergate Immigration do it for you? We have the necessary experience with more than 9 000 visa and visa related applications processed by our team since 2005. Intergate also have the required credentials. All our consultants are registered with the Department of Home Affairs and we are the only South African immigration company with ISO 9001 certification. This ISO stamp of approval is recognised world wide and an indication of superior service standards. You can reach our Cape Town office at +27 (0) 21 424 2460 and our Johannesburg office at +27 (0)11 234 4275. If you’d like us to call you, all you have to do is complete our assessment form or request a call back. One of our consultants will endeavour to contact you within 24 hours.